HEALTHOU RECOVERY FOOD IS A PROFESSIONAL LEADING BRAND OF FOOD POSTOPERATIVE RECOVERY INDUSTRY IN NORTH AMERICA. WHICH OPERATED AND DISTRIBUTED BY COMMERCE TALARIA INC. AND PRODUCED BY VITALABS IN US. BASED SLIGHTLY SOUTH OF ATLANTA, GEORGIA VITALABS IS A FAMILY OWNED AND OPERATED COMPANY ESTABLISHED IN 1977. IT IS AMERICA`S FAMOUS HEALTH FOOD MANUFACTURERS. SINCE ITS INCEPTION, VITALABS HAVE GROWN EXPONENTIALLY AND NOW OFFERS ANUMBER OF UNIQUE HOUSE SERVICES, IT MAINTAINS HUNDREDS OF STOCK FORMULATIONS, FRODUCTS AND CAN SERVE TO ITS BUSINESS PARTNERS. FOR OVER 30 YEARS, VITALABS ARE VERY PASSIONATE ABOUT CREATING AN ENVIRONMENT THAT IS CUSTOMER CERVICE. VITALABS RELY ON THEIR EXPERIENCE, EXPERTISE, AND PROVEN TRACK RECORD TO ENSURE EACH CUSTOMER IS TREATED WITH THE UPMOST ATTENTION TO DETAILS AND EACH OF ITS MANUFACTURED PRODUCT`S QUALITY IS UNSURPASSED. FROM ORDER ORIGINATION TO FULFILMENT, VITALABS MAINTAIN A HIGH FOCUS ON CUSTOMER SATISFACTION. VITALABS HAVE HAD THE PRIVILEGE OF WORKING WITH SOME OF THE FINEST PEOPLE AND COMPANIES IN THE INDUSTRY, MANY OF WHOM HAVE BEEN WITH THEM SINCE THE VERY BEGINNING. 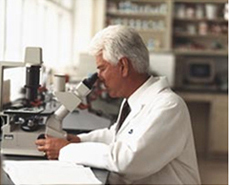 VITALABS OPERATE COMPANIES TODAY BASED ON THE SAME VALUES AS WHEN IT STARTED IN 1977:EXCEPTIONAL CUSTOMER SERVIE,A HIGH QUALITY, DIVERSE PRODUCT LINE AND COMPETITIVE PRICES HAVE REMAINED CONSISTENT. IN THE FIELD OF FOOD POSTOPERATIVE RECOVERY INDUSTRY,VITALABS UNPARALELED BRAND REPUTATION, PATENTED TECHNOLOGY AND PRODUCT QUALITY, THE COMPANY`S STRENGTH AND MARKETING STRATEGIES ARE LEADING THE INDUSTRY. COMMERCE TALARIA INC. WAS FOUNDED IN MONTREAL, CANADA IN 2004. ALL OPERATIONS WERE BUILT ON THE INTERNET, HENCE AN E-COMMERCE COMPANY. TALARIA IS DEVELOPING VERY RAPIDLY. IT SERVES CUSTOMERS IN NORTH AMERICA AND MOST AREAS OF ASIA. IT WAS A WELL KNOWN E-COMMERCE AND BRAND MANAGEMENT COMPANY IN THE HEALTH FOOD INDUSTRY IN NORTH AMERICA. IT HAS A STRONG ADVANTAGE IN THE NUTRITIONAL AND DIETARY SUPPLEMENTS ASPECTS OF BRAND MANAGEMENT AND MARKETING. COMMERE TALARIA INC. AND VITALABS HAVE NOW MADE THE DECISION TO ENHANCER THEIR BUSINESS PARTNERSHIP AND SIGNED AN EXCLUSIVE AGENCY AGREEMENT. TALARIA INC. BECAME THE EXCLUSIVE CARRIER AGENT FOR PROFESSIONAL BRAND ‘AFTER SURGERY RECOVERY FOOD BRAND "HEALTHOU"’.